once i actually entered there, i was surprised by how small it was, but i am used.to paris je so my judgement is bias and i like small, family like event and that was what i wanted when i came. After touring a bit, i went to buy the kikka goods (cd,t shirt and photos) also got myself risa/aika grad dvd, was super happy to find it ! Also wanted AoA singles bit they did not have it T-T An epic fail at the DoA tournament and a sssuupppeerrrr fun karaoke event later, i bought some mangas then settled quietly till it was time for the GTO author autograph. Foind back one of my morning queuemate and got the autograph among first, which allowed us to directly head for Kikka's showcase. About that concert, Kikka mesmerised me. Managed to find a decent spot and someone even gave me glowstick !! Show started strong with Darling to Madonna. And Hapirapi sunrise. But calmed down a bit after, at least till she got to her singles again. 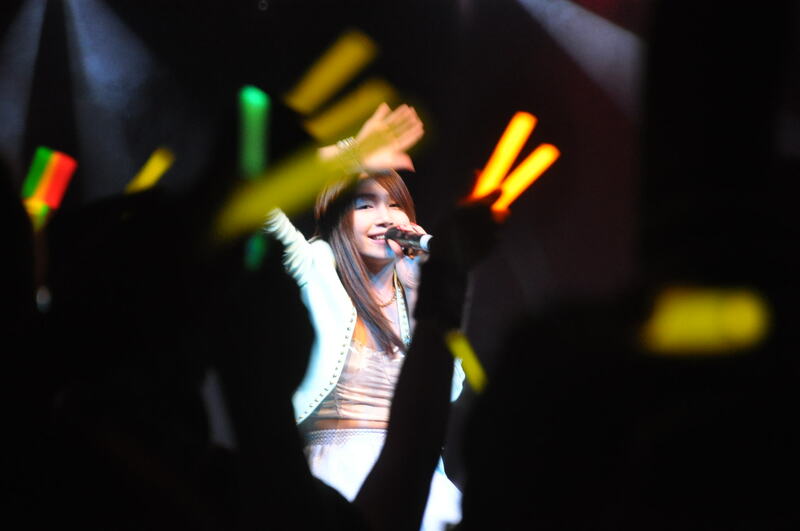 Clearly, some ppl did not know about kikka and left during the show, but strong fans kinda made up for that. My general feeling is that Kikka put on a great show, thought i find the setlist a bit questionable. From how i see things, she may be the purest Idol i ever met: the cute poses at the end of songs, the way she gives her all in front of an somewhat small audience... It was like she had just debut and it made her adorable !!! Totally hoping for more awesomeness tomorrow !!! PS: still on cellphone and don t have that much time, so i ll probably reedit that post later. Pictures from showcase will be included !!! !